Adapted from http://www.sproutedkitchen.com/home/2013/3/11/mushroom-millet-leek-frittatas.html which is a blog I've made several recipes from that have all been fantastic. I've just got their cookbook too, and it is full of recipes I want to try! The original recipe makes 12 muffins, but I used soufflé ramekins and made 6 portions. 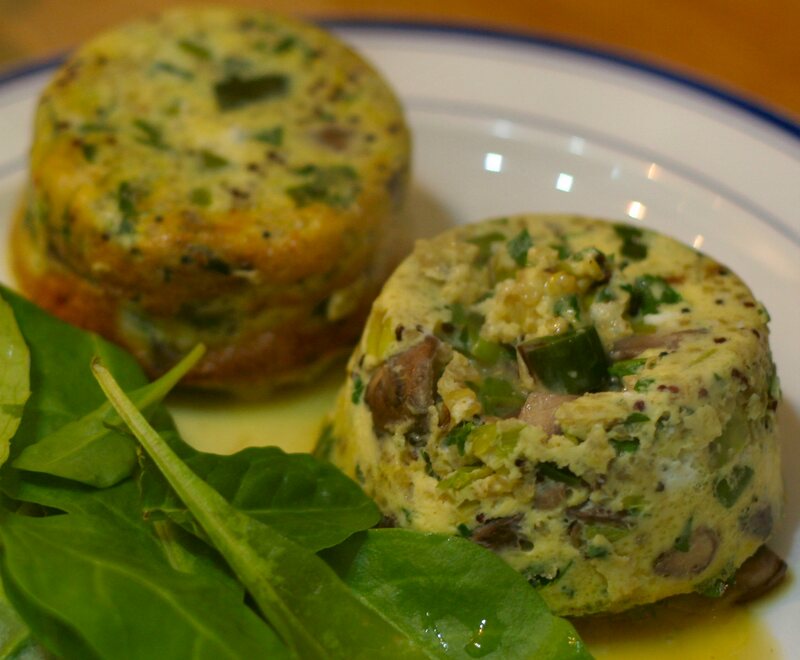 I didn't change anything from the original instructions, so head over to http://www.sproutedkitchen.com/home/2013/3/11/mushroom-millet-leek-frittatas.html for the how to. The original recipe suggests these as a breakfast, which I think would be lovely. However, we ate ours with some extra CHW veg: jacket potatoes and a green salad, which was also rather lovely.